Sig P228 airsoft BB gun, it has the official trade marks and logo. Powered by pulling back the topslide to compress the spring, this will ready the gun to shoot. WARNING: This item is only available to persons aged 18 and over. It is a criminal offence for a person under the age of 18 to attempt to purchase this item. 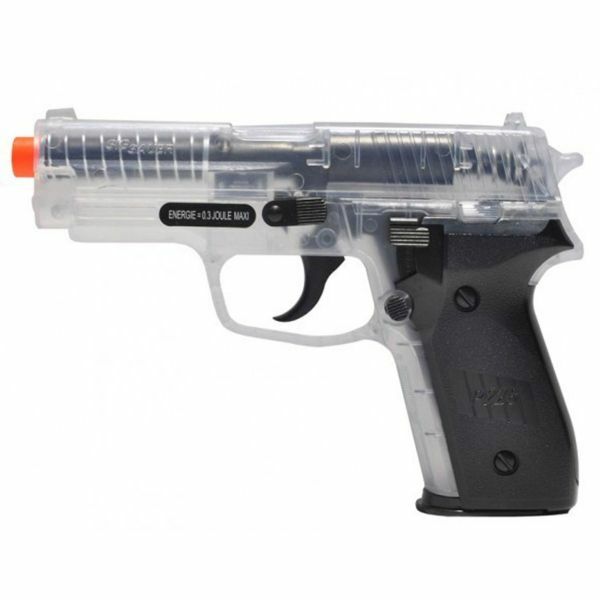 This two tone item complies fully with VCR regulations, this item is not classed as a air weapon and you do not need a licence to purchase it, however you must be aged 18 or over. 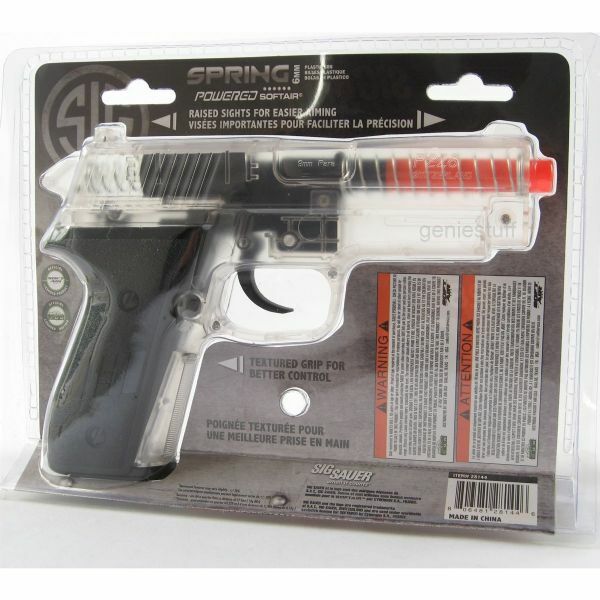 Geniestuff is a online retailer where you can buy a Airsoft gun and softair pistol items.